We’ve already discuss the process to make Tequila in a very short and general way, but in order to be a true Tequila Professional you have to understand each process in a very detailed way. 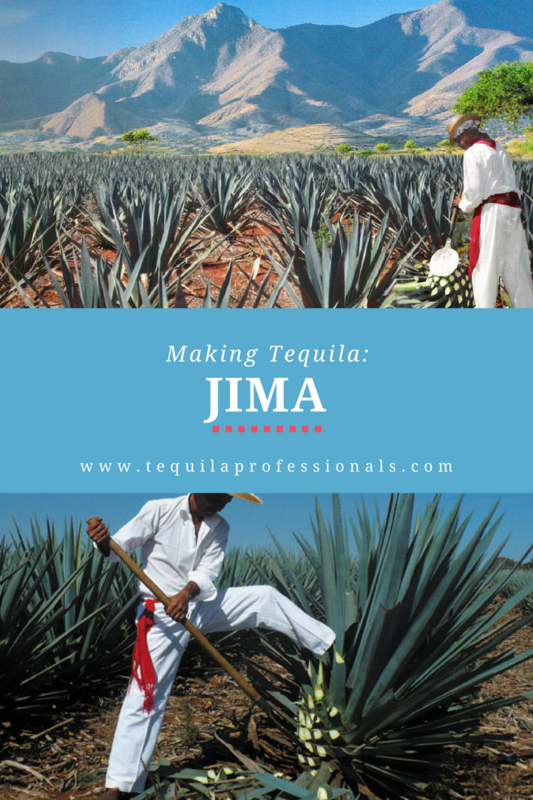 We’ll be posting a series of posts describing the stages of making Tequila, here’s the first one: the process of Jima. 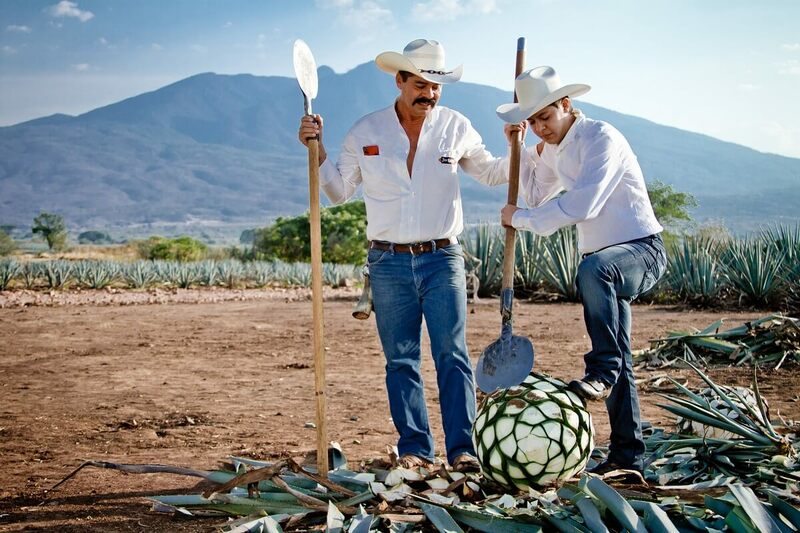 The process of tequila elaboration begins with the harvesting of the blue agave with regional denomination of origin. Agave plants require an average from 7 to 9 years to reach the perfect stage of maturity and be ready for the Jima or harvest, however 10 years is premium time for the agave to reach its ripest state that would provide the best sugar levels. The Jima, is the process when agave leaves are cut and making the root come loose, leaving only the coveted heart or head, because of its resemblance, they take the name of “piñas”. This process can occur year-round, but is in the dry season when the better taste of the agave is revealed. Expert jimadores (agave farmers) unearth and trim the agave’s heart (piña), which can weigh around 40 to 70 pounds. The piñas are trimmed using a special razor-sharp hoe-like tool called a coa. The coa’s distinctive paddle shape is iconic in the Highlands’ region of Mexico. The Jimadores are required to be strong men with great field experience, they locate the best plants and begin the Jima. Traditional jimador clothing is a white cotton shirt and pants with a red sash and open-toed leather sandals, but nowadays some jimadores wear more modern and suitable clothing like a pair of jeans, a hat to protect them from the sum and a shirt or tshirt. A hard working and skilled jimador can harvest more than 1,500 pounds of piñas by hand each day. Once the plants are cut correctly they are loaded into transportation trucks and eventually transported to the factory in order to be processed.